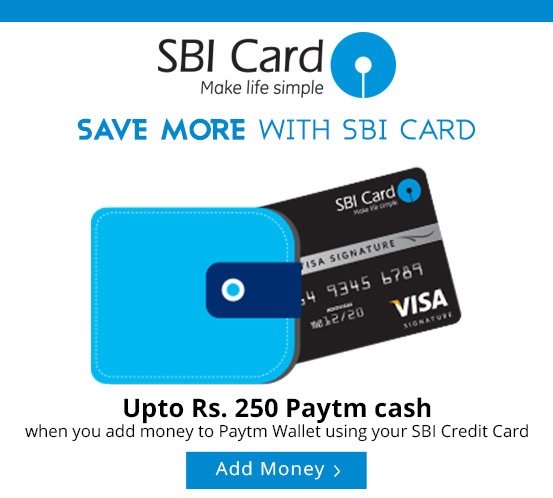 Paytm running exclusive offer for SBI Credit Card users , where they offering 5% cashback maximum Rs. 250 on adding Rs. 1000 or more in Paytm wallet. Offer valid till 10th Mar 2015 only. The cashback will be automatically added to wallet.